Buy this item and earn 183 ClubPoints. Watchdog 15 is a self-contained unit with on-board temperature and humidity/dew-point sensors. It has an input capacity of four external sensors. Designed specifically for small-scale applications, Watchdog 15 provides web-enabled temperature and humidity monitoring in a compact, low-cost unit with a simple, easy-to-use web interface. The web interface provides an overview of environmental measurements with real time sensor data. All measurements are logged allowing users to collect data for trending and capacity management. Watchdog 15 offers flexible access rights and security settings with up to three access account levels. It offers secure access through the web and supports HTTP and HTTPS protocols. Up to 50 customizable alarms can be configured with alarm escalations per sensor. Up to four digital sensors can be connected using a standard splitter. 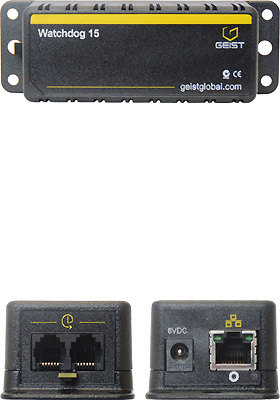 A variety of optional plug-and-play sensors are available for use with Watchdog 15 including but not limited to, temperature, humidity, airflow, power usage and more. Watchdog 15 is a compact solution weighing less than half a pound and sized to fit in a 1U space at 4"L x 1.5"H x 1.5'W, which is perfect for tight installments. With an operating range of -20° to 85° Celsius (-4° to 185° F), Watchdog 15 can be used to monitor temperature, humidity and other environmental parameters in a variety of applications including IT, telecom, healthcare, food supply and others. 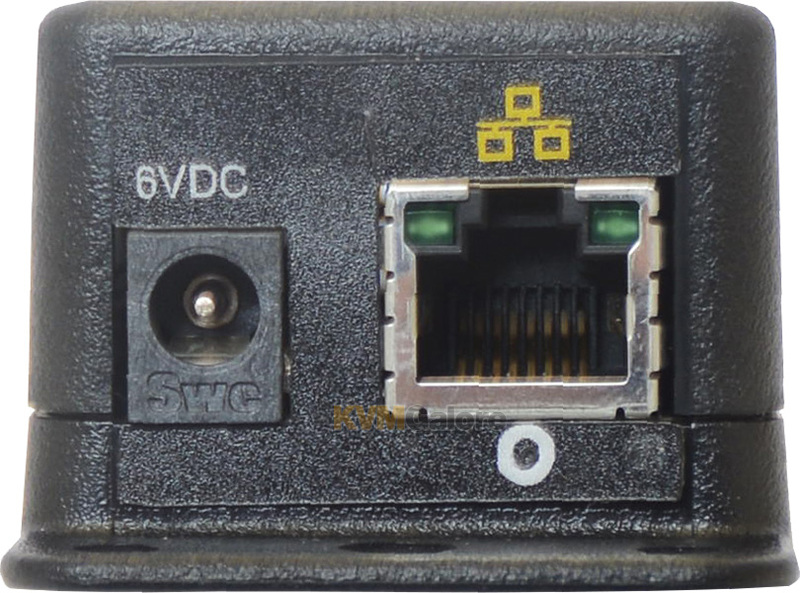 Trigger escalating alarms if temperature or humidity fall outside of specified parameters via SNMP (v1, v2c), email and SMS messages (e-mail to SMS gateway). For example, specify an email notification to one or more users at 70° F, add another layer of personnel to the email alarm at 80° F, add your third party contractor at 85° F... (specify up to 50 alarms per unit). Watchdog 15 is simple to install and use, requiring no special software other than a standard Web Browser. 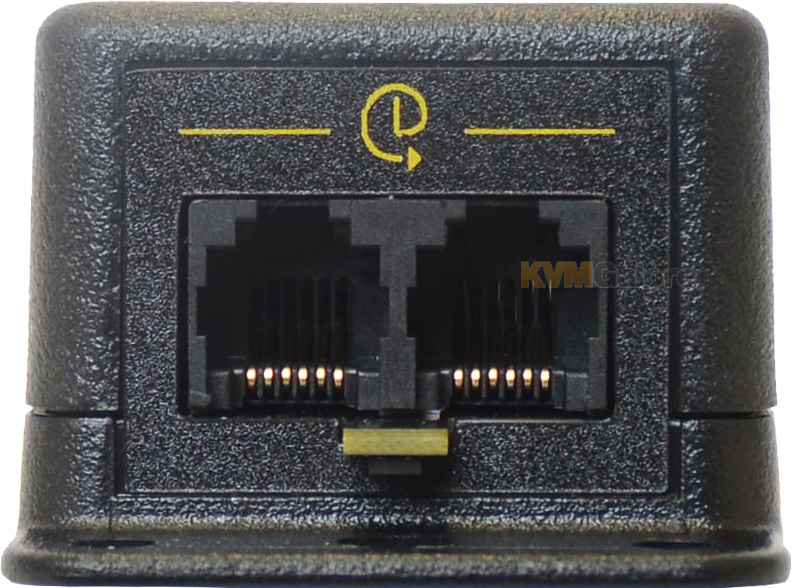 The Watchdog 15 connects to an Ethernet Network with a standard RJ45 connector and sends data in standard TCP/IP packets. It is easily configured with a simple menu using a Web Browser and can be password protected with 3 access account level types: Administrator, Control, View Only. From within an Intranet or over the Internet, the user can securely access the monitor by entering its IP address. Listed below are additional products to consider which are compatible with Watchdog 15. These items may be required to complete your system.